Armon Ellington died on earth and was transported to Terra, a world governed by rules eerily similar to the RPG games he loved. He found he could gain levels, skills, abilities, and magic just like he could in those games. In addition to finding a way to become more powerful, he also found the friends and family he’d always longed for. Unfortunately, he also discovered the pain of losing them. When the Imperare Empire attacked the village of Restrian, they killed most of the kind kobold tribe that adopted him and took many of the citizens of Restrian as slaves. 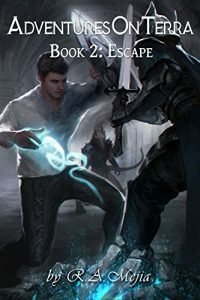 Now, not only must Armon find some way to free the kidnapped citizens of Restrian but he must find and rescue the few remaining members of the kobold tribe that adopted him.